The 2018/19 academic year has brought with it the first year of the Trinity Education Project implementation. As Trinity’s most extensive effort to alter and consolidate its undergraduate curriculum, TEP is already more than half a decade in the making. Today, less than a year into implementation, alterations have already been made to assessment, module size, progression rules, award calculations, and programme architecture, with broader rollouts and additions scheduled for the near future. Considering the scale of these changes, it’s no surprise that TEP has become a constant source of controversy. Less than six months since the start of the school year, it has emerged as one of the largest issues of debate during the recent Students’ Union elections. It was a constant in the candidates’ manifestos and featured as a regular topic in the elections hustings questions. The extent of the debate was perhaps crystalised at the Halls hustings, the last campaigning event before the opening of voting immediately afterwards. After the respective speeches of the two candidates for Education Officer both featured scepticism over TEP-related assessment changes. A question from current SU President, Shane de Rís, challenged both to name any other three changes that the Trinity Education Project proscribed. Niamh McCay, now Education Officer-elect, commented: “I think questions like that need to be asked. The intricate details of TEP and its implementation aren’t known to every student, but these are details that any candidate for Education Officer should know.” President de Rís’s question, then, served to highlight the amount of confusion regarding what exactly TEP is on campus beyond a buzzword. Both candidates were able to answer, and the debate moved on without further issue, seemingly proving their ability to speak on and understand the matter. But the exchange also served to highlight the massive increase in importance that TEP has taken on within College politics. While campaigning, President De Rís said in an interview with Trinity News: “It’s Trinity, so nothing is ever going to pass easily.” Now, complete certainty in regards to TEP has become a requirement of the job. When the most recent slate of SU candidates were able to run on a platform of TEP scepticism, it becomes more important for both them and the voters to possess a clear portrait of what TEP is, and where the points of the debate actually fall. In February 2015, after almost two years of brainstorming and thought exercises, the Trinity Education Project was officially established with the goal of, in the words of its 2016 interim report, “embedding a distinctive education within the university”. In other words, to go about actually realising the aspirational vision of a Trinity Education that had been established. The first task of its Provost-led steering committee was to provide an answer as to what graduate attributes Trinity students should have. By conceptualising what the ideal Trinity graduate should gain, it both settled on a single vision of what a Trinity education should be, and set a goal to work towards. By June 2016, it had settled on four: to act responsibly, to think independently, to communicate effectively and to develop continuously. TEP’s seven subcommittees or strands then developed plans to transform the undergraduate curriculum in a way that made these attributes a reality. Within their various areas of focus – for example, Strand Three dealt with assessment, Strand Four with internships, and Strand Five with technology – they carried out research and made suggestions for administrative changes that could bring all of Trinity closer in line to one image. The Trinity Education Projects design phase, labelled Stage Two of the project, ended in June 2016, coinciding with the departure of Linda Hogan from the position of Vice Provost, and, by extension, Project Sponsor. Her successor, Chris Morash, oversaw preparation for implementation of changes, labelled “Stage Three” of the project, and, as of the start of the 2018/19 school year, the start of implementation – the ongoing “Stage Four”. Many TEP-related changes have already been adopted College-wide without incident. Starting with this years’ first year class, all degree awards are to be calculated on a 30:70 model, 30% from third year marks and 70% from fourth year. The standardisation of module sizes as bearing either five, 10, or 20 ECTs is on track to be implemented across College by the 2019/20 academic year. Vice Provost Chris Morash, while speaking to Trinity News, distinguished alterations like these as “integral policy changes” due to their approval by the Undergraduate Studies Committee. Comprised in part of the rectors of the respective undergraduate schools, a decision made by the Undergraduate Studies Committee decision might appear less prescriptive and more a compromise between the schools and staff themselves. “They’re actually party to it, they actually have input in it, they actually approve it,” Morash explained. Perhaps the greater difficulties arise with, in Morash’s words, “changes that are not policies as such, but cultural”. Take, for instance, the alterations to assessment – perhaps the most contentious TEP-related issue among students and faculty alike. The recent semesterisation of the academic year – the addition of Christmas exams, the shortening of the exam period itself by three weeks and the revision period by two weeks – all dramatically alter Trinity’s centuries-old assessment traditions. Such an upset affects a faculty who unlike with their response to the less invasive, more-agreed-upon “integral policy changes”, might view some TEP-related changes as an undesirable culture shock. “We’ve done a lot of things to try to get the schools thinking our way,” Morash said. The establishment of the Trinity Education Fellows to mobilise staff interested in the project, outreach programmes to the various schools, and the publishing of massive amounts of TEP info sheets and videos have all attempted to get staff on board. “But it’s a big complicated organisation and we don’t reach everybody,” Morash conceded. For every staff member enthused about continuous assessment, there is another who refuses to budge from the end-of-year assessment model. And, unlike the prescribed administrative changes, an alteration in assessment culture isn’t something that can be forced, nor should it be. “At some level,” the Vice Provost accepted, “people who teach something really should know how best to assess it,” even if that means turning a blind eye to those departments where continuous assessment hasn’t been introduced. So far, consistent implementation of TEP has been something of a mixed bag. More mixed has been the response to this implementation among the student body. Take, for instance, the previous example of assessment. The Vice Provost singles out a Leaving Cert culture as the largest culprit in generating student resistance to assessment changes. In an educational system where the entirety of secondary schooling is devoted to preparation for one set of exams, and communal teaching and learning gives way to weeks or months of individualised and fragmented studying, how could a newly-matriculated student not bring that experience to Trinity? “It creates this expectation among Irish students that an exam is this thing that’s different from learning,” he asserted; something that is only reinforced when students arrive on campus to face Trinity’s historical month-long end-of-year exam period. “Really,” he offers an alternative, “you should think about an exam as part of the learning process”. The traditional extended period of extensive exam preparation, though perhaps needed in a system where students had examinations in April on topics they covered in September, is less necessary when assessment occurs alongside teaching. “If you’ve been studying something for 12 weeks, and doing work as you’re going along for the 12 weeks, by week 12 you’ve already been preparing for that exam for three months,” Morash explained. The hope is that semesterisation and the Christmas exam will remove the historically lengthy gap between learning and examination. With subjects fresh in students’ minds, come exam season they should require less time for review and experience less stress. Some students may well be opposed to the concept of Christmas exams generally, preferring the end-of-year exam. Others, however are in favour of semesterisation and rather dislike the material effects that semesterisation has on their everyday lives. 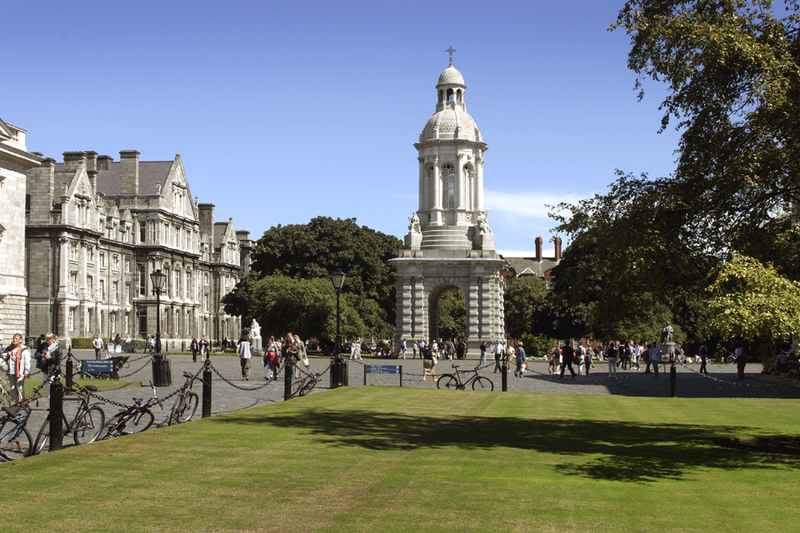 “So far, TEP has resulted in many students crumbling under the stress of exams and assignments,” wrote Education Officer-elect Niamh McCay in reply to Trinity News. “Society involvement has plummeted. Student engagement has dropped. All in all, I do believe that the initial implementation of semesterisation was disastrous.” Though she echoed Morash’s hopes that the Trinity Education Project has the potential to succeed, “this cannot happen years down the line when there are students right now trying to leave College with the best academic experience possible.” The Trinity Education Project must be implemented in a way that makes its changes both easily handled by, and helpful to, those students caught in the midst of the transition. Many a TEP-related problem has already one or more proposed solutions in the work. McCay’s manifesto highlighted one proposed alteration to the new assessment system: “The implementation of a grace period around exam time, wherein no continuous assessment is due in the week before exams, nor the week of.” Elaborating on this suggestion after her win, she explained that, “for me, one of the biggest issues of the Christmas exam period was the shortening of our study time but not the same decrease in exams or assessment during that time. There were, on the whole, 11% fewer exams this year than last year, however, we had 66% less study time.” Though overall she sees continuous assessment as “fair and a step in the right direction,” she also holds that “for now, while we have only reduced the number of exams by 11%, students should be able to dedicate that one week of study solely to exam study”. Ideas like a continuous assessment grace period would only serve to address one small aspect of the laundry-list of problems that students have with TEP-related changes. But each individual reform of this sort aims to produce the small changes that might make TEP feel a little less insurmountable. And there’s an indication that College would be on board with some of these alterations. At the Trinity Hall hustings, McCay announced that she had already discussed the “grace period” with the Vice Provost and found him amicable. “When speaking with people like the Vice Provost, I know that they do not want students to fall through the cracks,” she said. Students have, at least in theory, been granted a seat at the table of TEP-related decision making. Vice Provost Chris Morash asserted that, in general, “the Students’ Union has much greater involvement in the governance of Trinity than is true, I think, of any of the other Irish universities” – an involvement that has extended to the Trinity Education Project. He emphasised the contributions that Students’ Union officers, and especially the Education Officers, have made not merely as attendees but as active contributors to TEP-related meetings. The question for Morash, then, is “how well the Students’ Union reps are able to channel things that come from the class reps”, and, in turn, how well class reps are able to channel the concerns of their student constituents in their TEP contributions. McCay echoed the importance that the Education Officer has in TEP’s decision-making process, saying that in her newly-elected role, “I plan to use my voice and place pressure on those in charge, ensuring that students aren’t forgotten in this process.” She concurred with the importance of “work[ing] with class representatives to hear their specific issues and know exactly what I, as Education Officer, need to prioritise.” She also expressed enthusiasm about other avenues of communication that the Students’ Union can open between students and College. She sees January’s Open Forum, for instance, as “powerful because it gave students first-hand access to those members of staff who are making the changes”. Trinity now approaches the six year anniversary of the publication of the initial Trinity Education Project memo. Parties from the Education Officer-elect to de Rís to the Vice Provost concur that there is a lack of awareness around it. Much of the Trinity Education Project’s history – from the idealistic principles that the Project was founded upon, to the wide range of changes it has created, to the exact specifics of the issues it may be contributing to now – can appear obscured behind the most visible of its issues. TEP has indeed been more visible as of late, spotlighted as it was in the Students’ Union elections. When the spotlight falls away and the new sabbatical team takes its seat at Morash’s roundtable, when the time comes to both guide implementation forward and introduce those needed reforms, will any of these parties have succeeded in raising awareness among students of the complex picture of what the Trinity Education Project does and hopes to do?